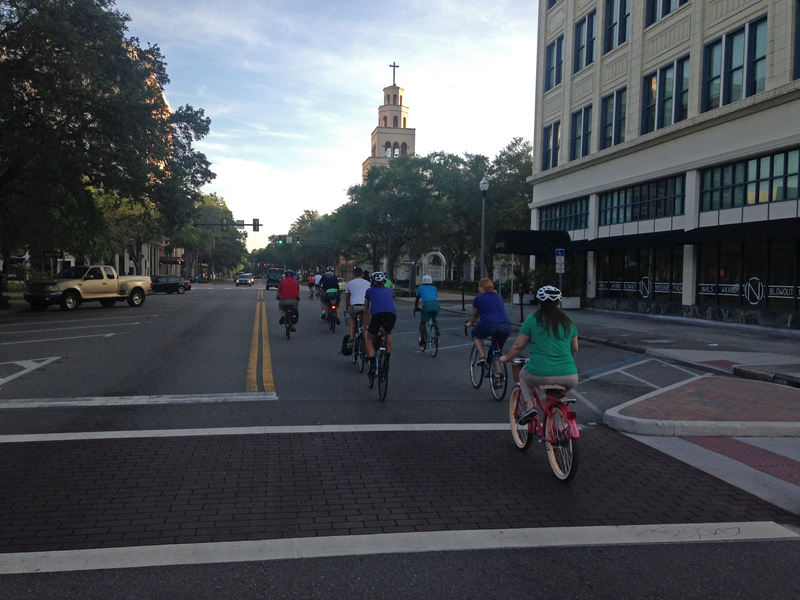 Shift St. Pete’s Block by Block ride was super fun! 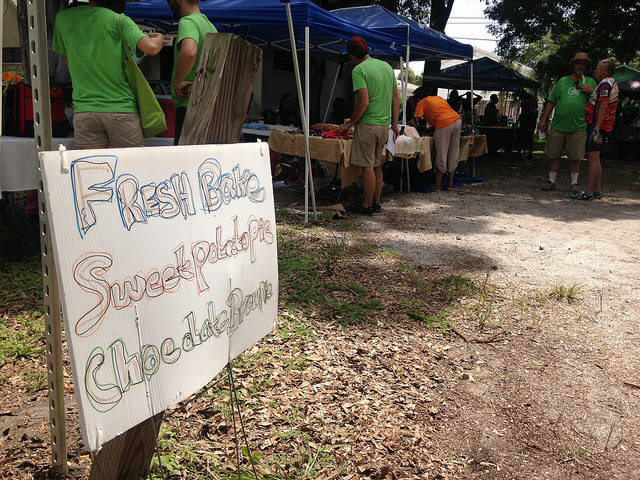 On Saturday, July 11, we joined our friends from Shift St. Pete for their very first event – Block by Block – a casual bike ride highlighting the ease of bike and pedestrian commuting between St. Petersburg’s historic and wonderful Kenwood neighborhood to the Deuces Live second Saturday market on recently revitalized stretch of 22nd Street South. 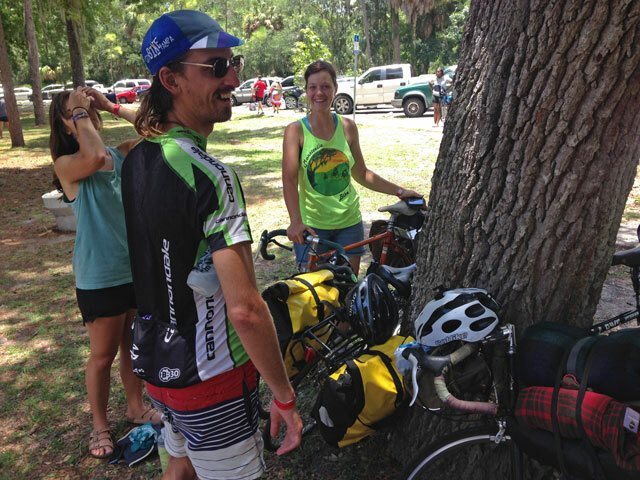 At the beginning of our ride, Andy and Alec from Shift St. Pete welcomed a few dozen cyclists that showed up for the event and said a few words about their organization and the general purpose of the event. 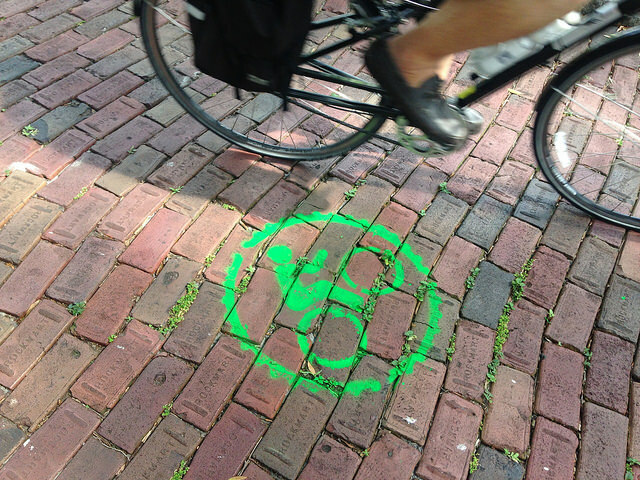 They also informed us about some new and exciting cycling-specific signs and infrastructure that apparently appeared overnight on the streets and in the neighborhoods we were about to ride through. Whaaaaaat, we said!? How exciting! 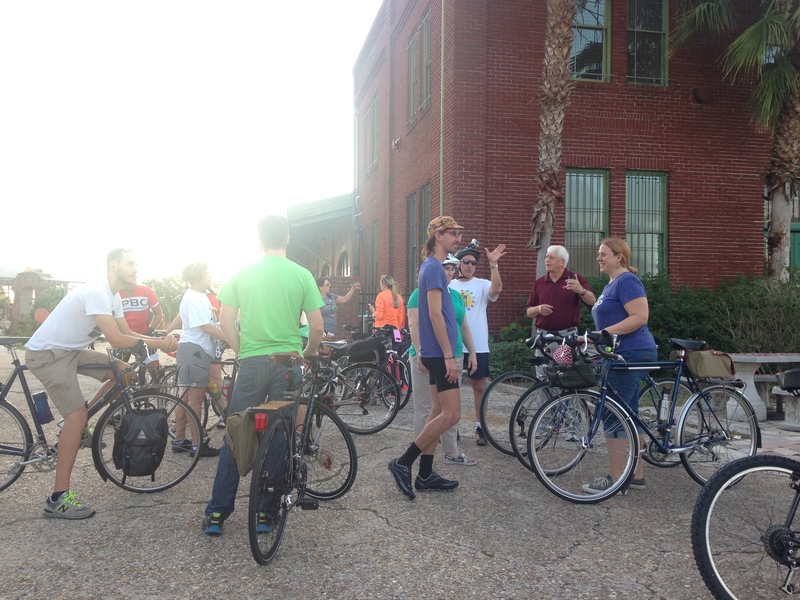 Filled with excitement and curiosity, we got on our bikes and headed toward the market. Lucky for you, our team of skilled on-bike photographers was along for the ride and through the miracle of internet and hyper-realistic iphone5s photography you get to enjoy the highlights of the ride as well, almost as if you were riding on their handlebars. Below are a few photos and you can view the complete gallery here. Enjoy! First of the mysterious signs we were warned about. 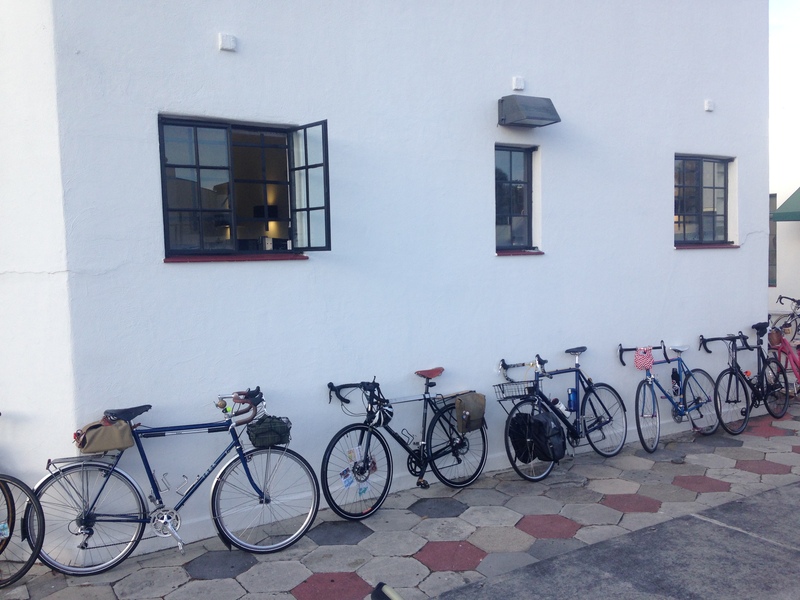 1 car-parking space can fit 20+ bikes. Enough said. 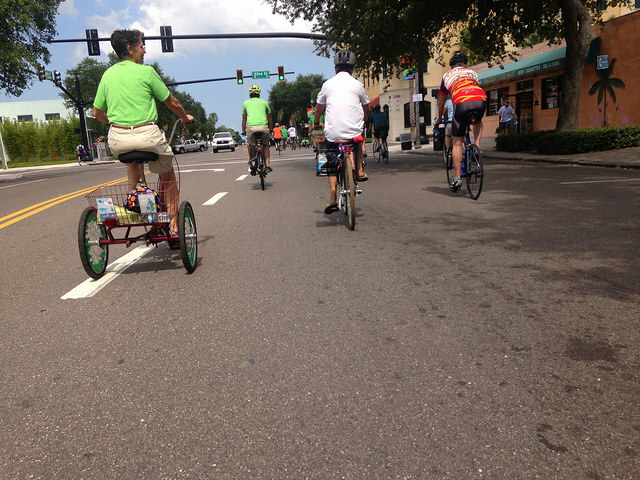 Taking the lane on Central Avenue. Alec points out the fresh signage indicating travel times between neighborhoods by bike and on foot. Parking bikes at the Deuces Live market. 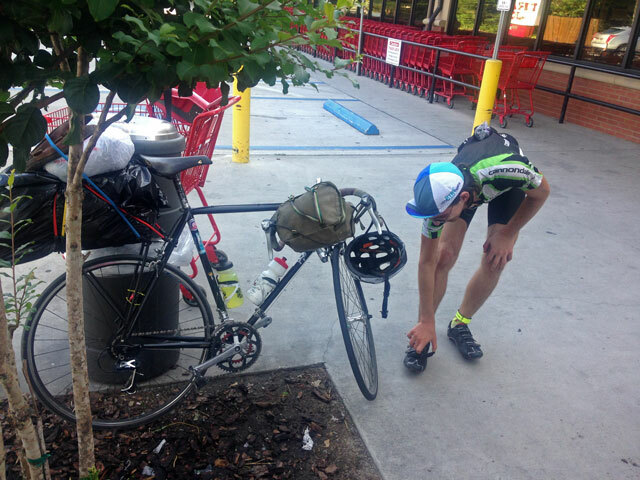 Pete takes care of bikes. Our setup at the market. If you missed the event, have no fear. Shift St. Pete is just getting started and they will not rest until many more events such as this one are organized all over our wonderful city. 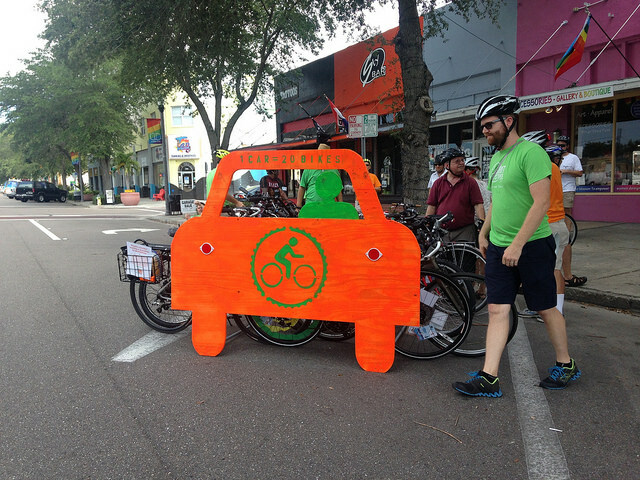 Judging from this event alone, they are well on their way to fully realizing their ultimate goal of making St. Pete a cycling and pedestrian paradise it deserves to be. Now that’s something we can all get behind! 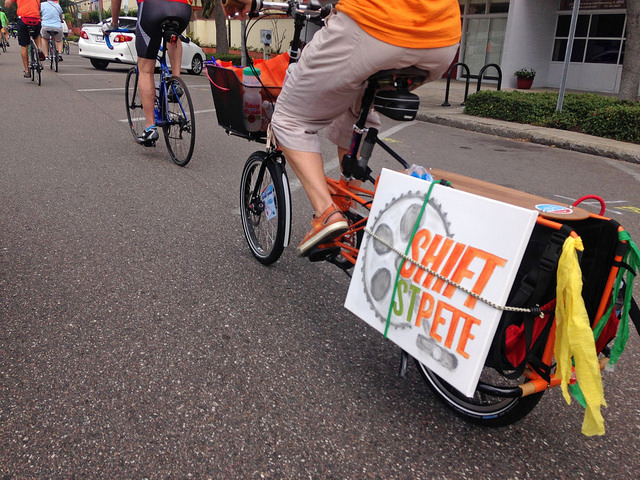 Congratulations to Shift St. Pete on organizing such a cool event, and big thanks to everyone that showed up for the ride. 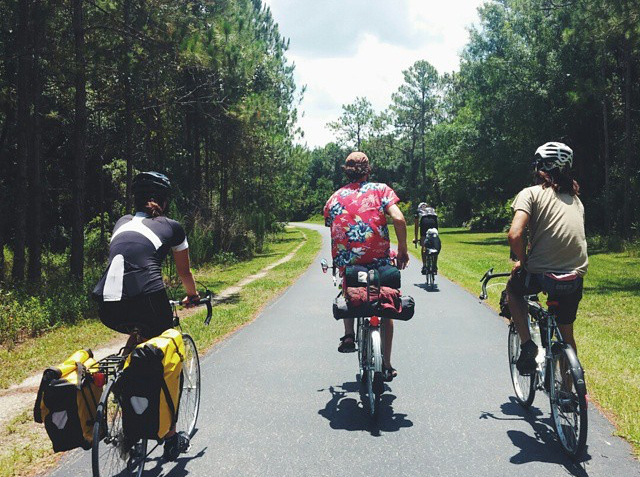 Keep pedaling friends! Well, it might be a little too precious, but this is still a great little video about cycling life in Utrecht, Netherlands. 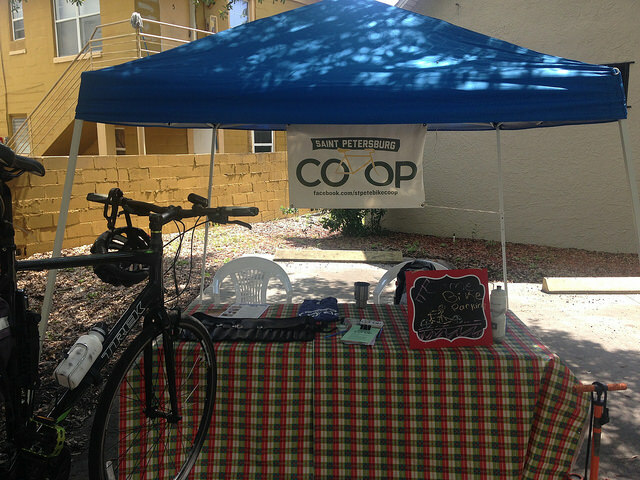 Here at St. Pete Bike Co-op we passionately believe that with some updated bike infrastructure our ‘Burg could get there one day because, in small cities, biking a few blocks for transportation just makes sense. 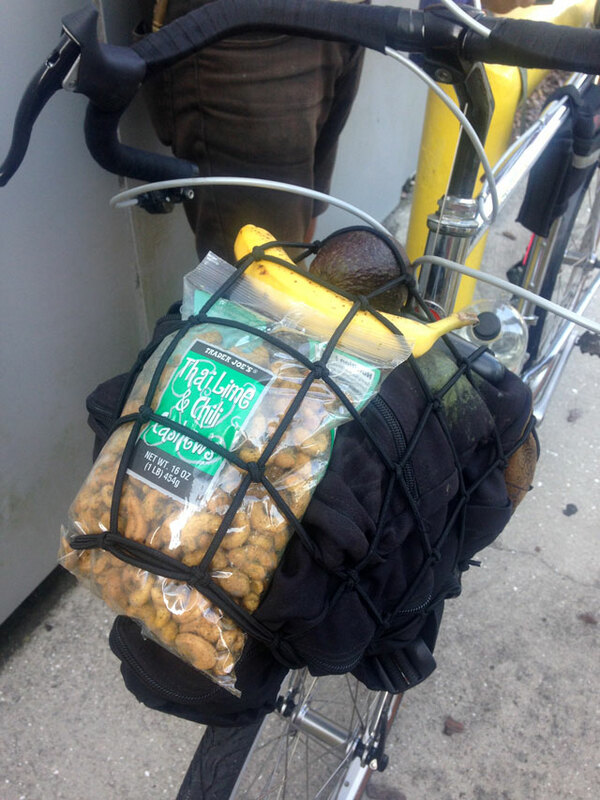 You don’t need an expensive, latest-everything bike and certainly no special clothes if you’re riding a few miles to work or grocery store, or 5 blocks to an ice-cream shop. 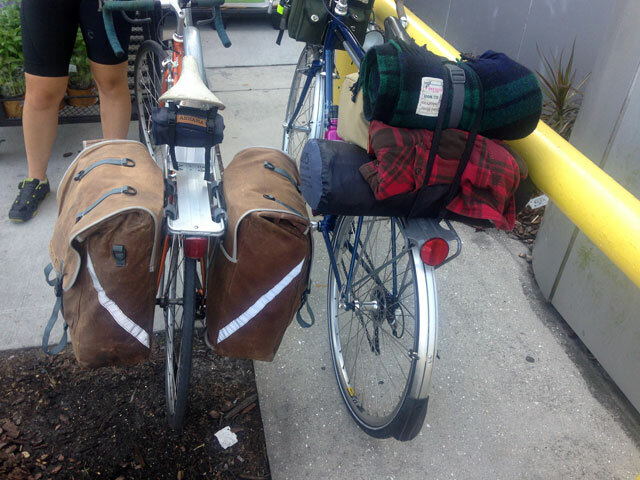 Any bike and whatever summer clothes you have will do! Just put on some sandals and shades, straddle that dusty bike, and go grab yourself a delicious piña colada or a refreshing gelato. 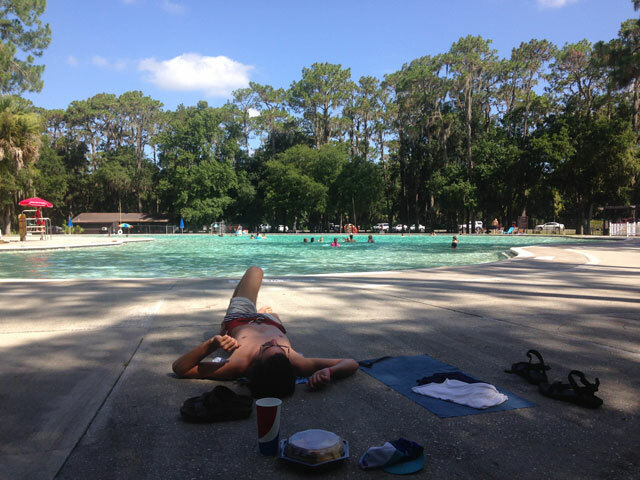 Or pack some tasty snacks and head out for a picnic in the shade of any one of our gorgeous city parks! On a side note, but still related to the video, Tour de France starts this Saturday. Think of it what you will, but it’s still one of the world’s largest sporting events and there’s nothing like it, so we are naturally excited about it. Our money is on Quintana, but that pesky Froome is not gonna go down without a fight! Either way, there will be some magnificent shots of mountain passes, charming French countryside, and castles. Lot’s of castles. 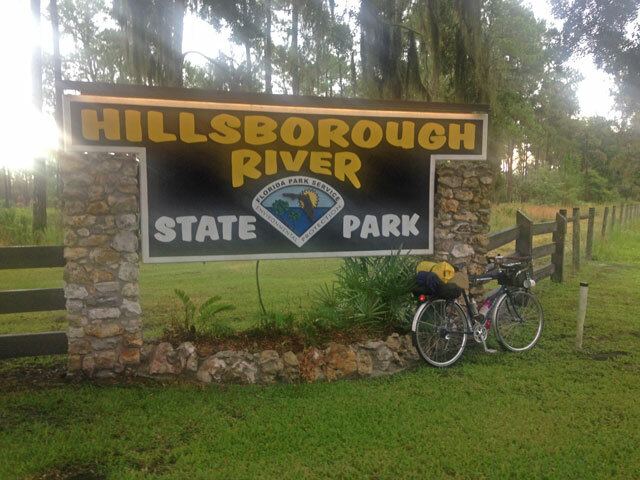 A couple of weeks ago a few of us rode our bikes to beautiful Hillsborough River State Park to do some camping as part of the Swift Campout solstice world-wide bike camping event. 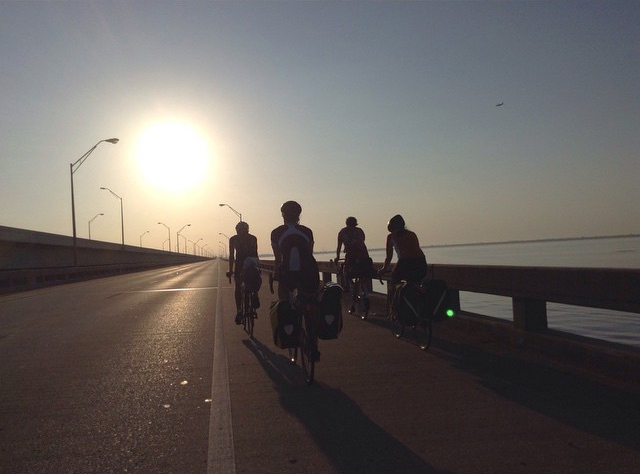 We started the ride at sunrise in downtown St. Pete, crossed the bay over Gandy bridge and into Tampa where we attempted, as much as possible, to follow the meandering Hillsborough River all the way to the park. 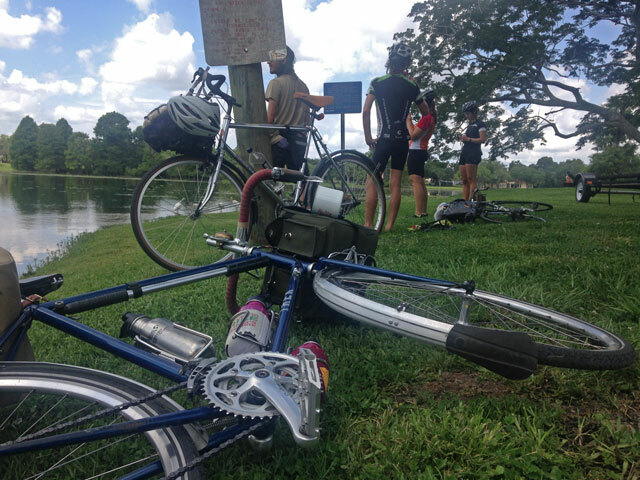 Yes, it was hot and humid, but when all was said and pedaled, we rode about 130 miles, had a ton of fun, gobbled up panniers full of tasty snacks, dipped our toes and cooled our heads in the river at some gorgeous riverside parks, said hi to some deer, and pitched our tents for a well deserved rest at one of the most beautiful green places in all of Tampa Bay. 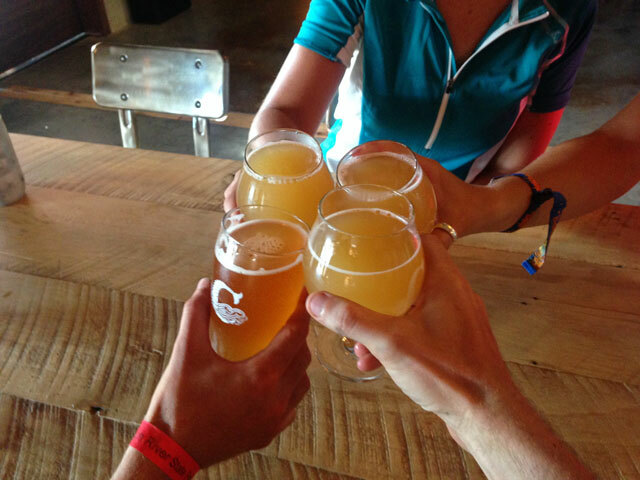 If you’re looking for a way to break out of your car-work-home-bar routine, rides like these are a great way to have a micro adventure without spending a lot of money on an elaborate vacation. You might discover new roads and gain new perspective about yourself and the place you call home. 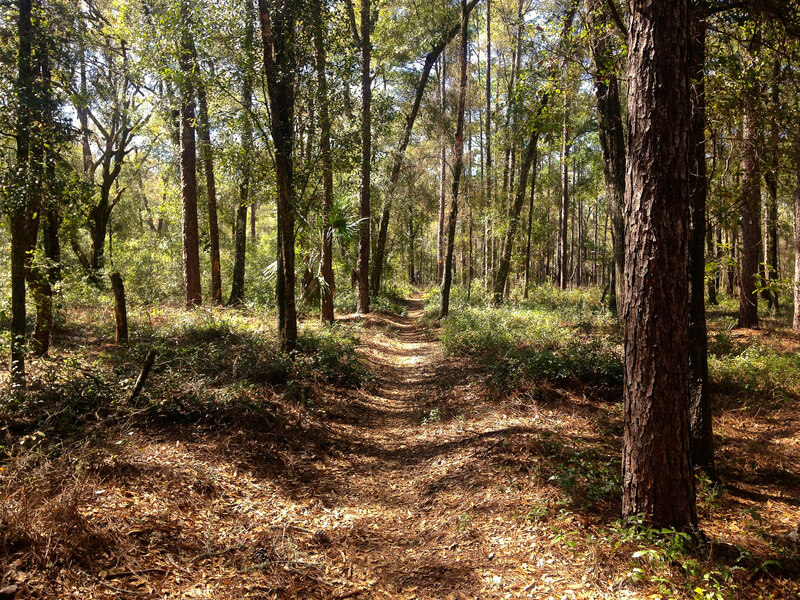 If that sounds like something you might like to do, then Hillsborough River State park might just be the ticket. We highly recommend it! 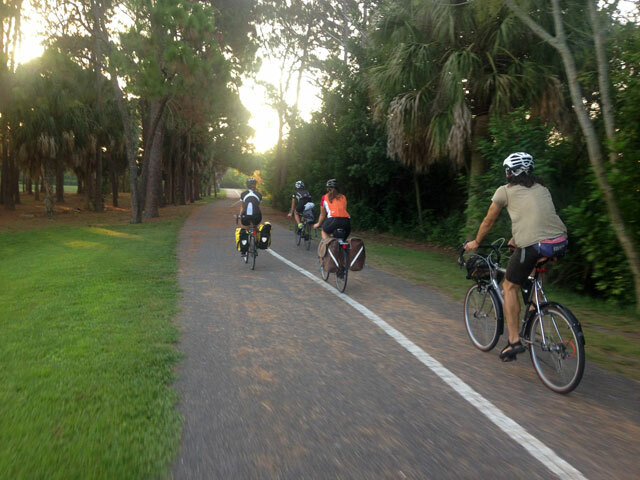 Below are some of the photos taken on our ride. We hope you enjoy them and if you feel inspired don’t hesitate to contact the co-op for more information on our route or bike camping in general. We’ll be happy to talk to you! Did someone say wool and waxed canvas? Ben likes to keep his snacks where he can see them. 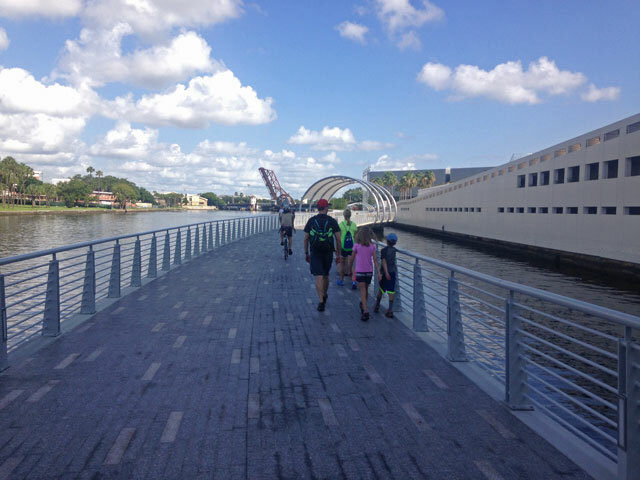 Riding a section of the recently completed Tampa Riverwalk. 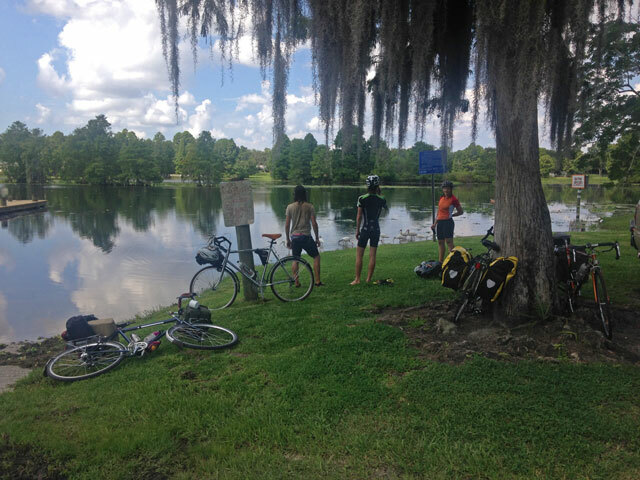 Riverside rest stop at Riverhills park. 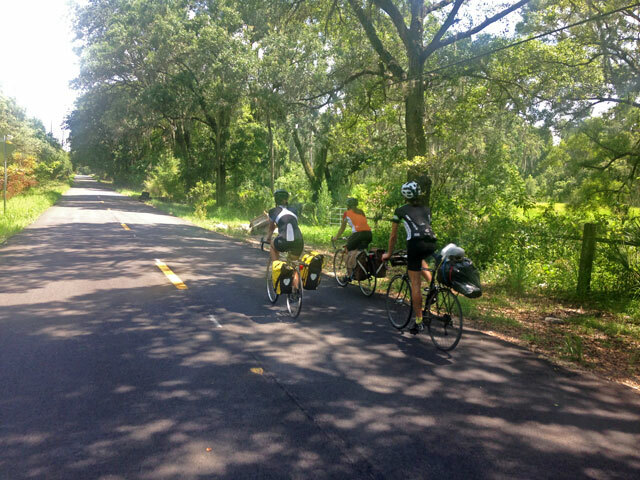 Shaddy roads make for happy riders. 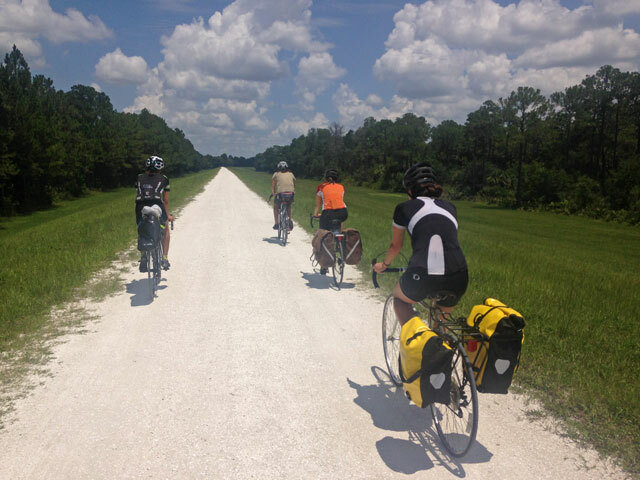 A gorgeous gravel road by Flatwoods Park. The bike will get you there. 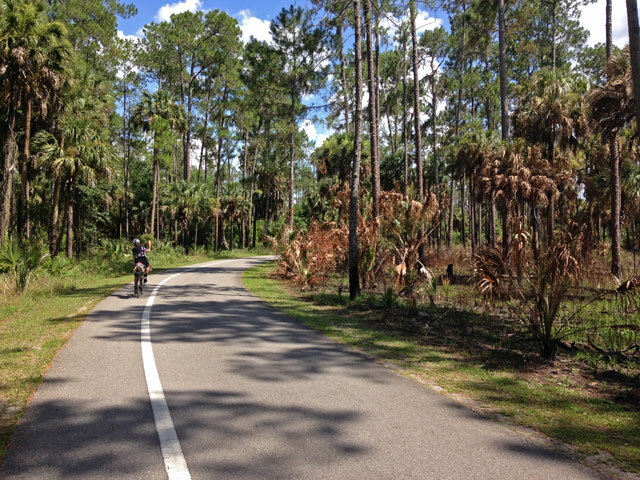 Nice ride through Flatwoods park. Misty park entrance. We made it! 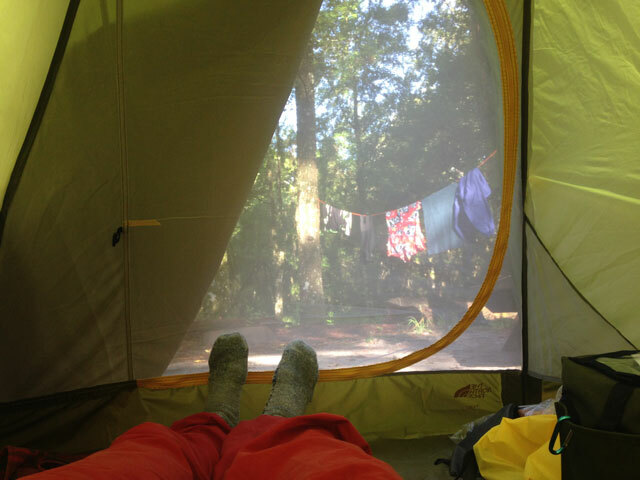 Our campsite at first sunlight. Gift store bounty. 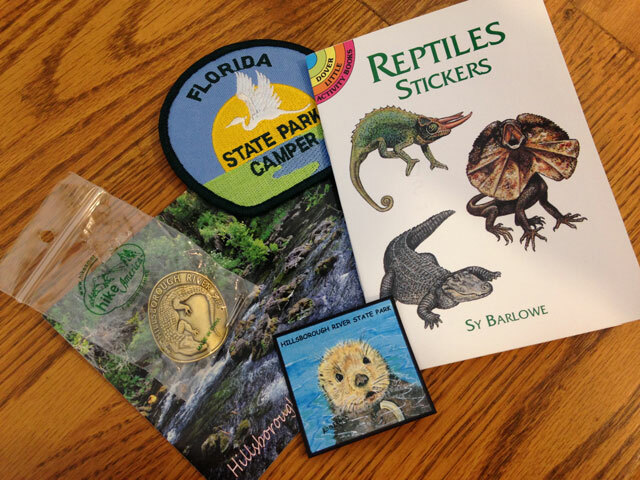 That alligator brass badge is amazing. 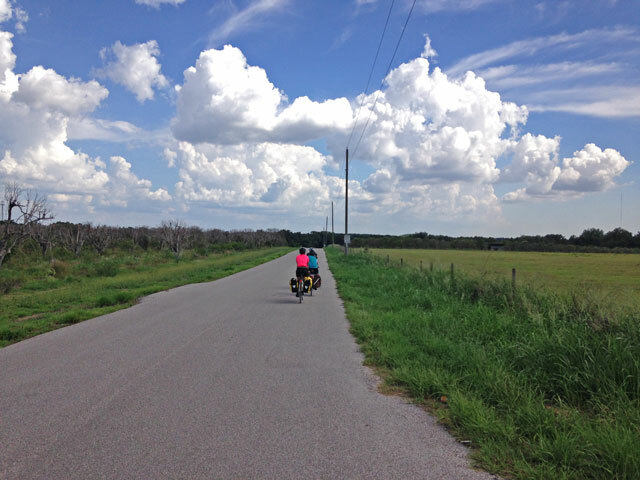 Miles of pretty country roads around Lake Thonotosassa. Back in St. Pete. Nothing like a good meal after a long day’s ride. 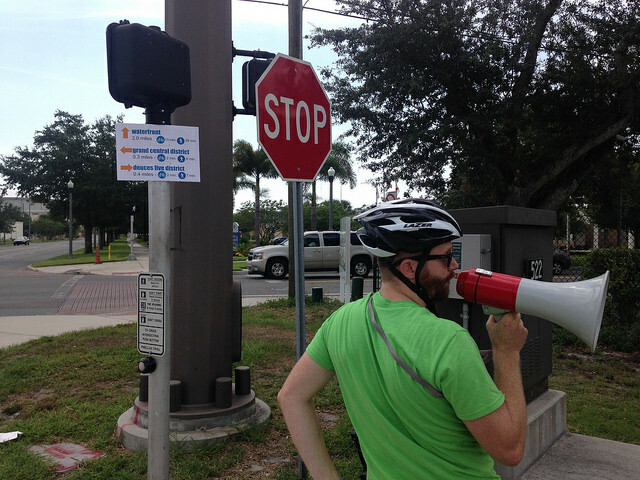 Jen Heine of the Bicycle Quarterly recently published an excellent article that should interest anyone concerned with red lights and stop signs as they relate to cyclists. Regardless of where you stand on this issue, Heine’s rational and analytical approach to his “Idaho Stop” experiment and the conclusions he draws from it should provide plenty of food for thought for anyone interested in this hotly discussed topic. If you don’t know about Yehuda Moon, or you’ve never heard of the Kickstand Cyclery, you really are missing out. After a long hiatus, this classic slice-of-bike-life comic created in 2008 by Rick Smith and Brian Giggs is back online and is as great as ever. Start reading! 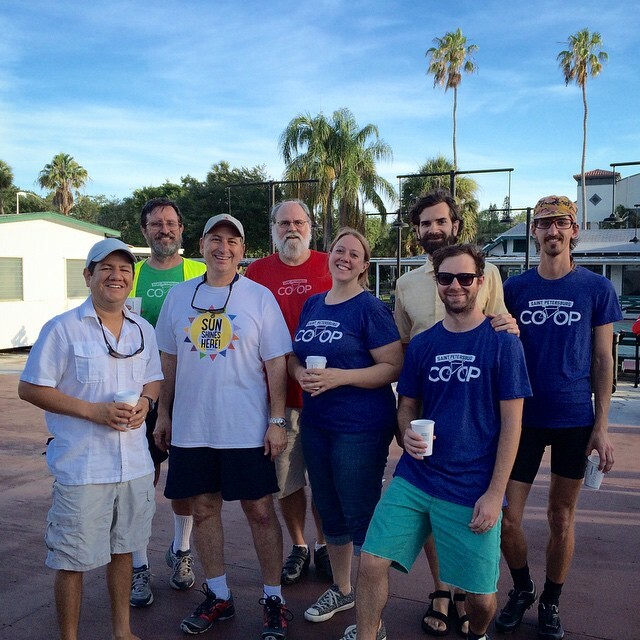 A few photos from bike to work day ride with Mayor Kriseman. 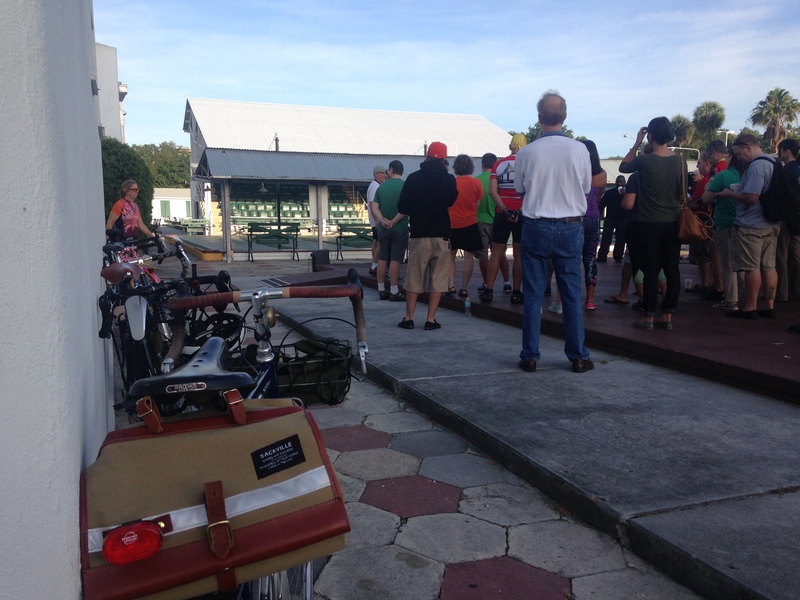 It was great to see so many commuters turn up for the event and listen to mayor and city council members talk about the exciting plans for safer biking and walking in St. Pete. If you like to ride your bike and are an adventurer at heart than check out this cool event created by Swift Industries – makers of some of the finest and most useful bags you’ll ever hang on your bike. 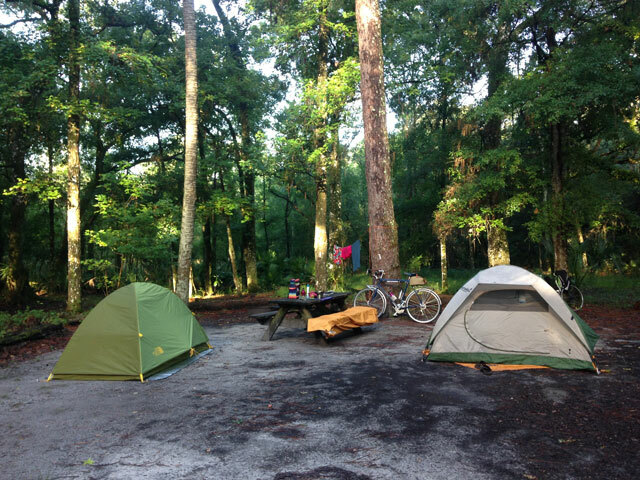 Is there are better way to start your Summer than with a bike overnight camping trip? We don’t think so. 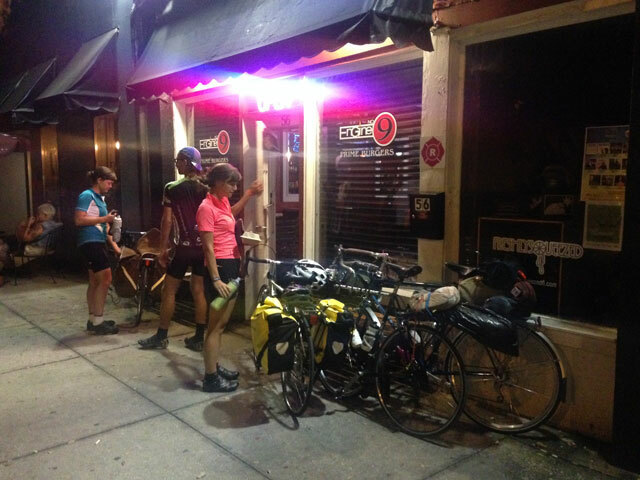 Check out this great photo report on Pedaling Nowhere about a kickass off-road ride close to our neck of the woods. 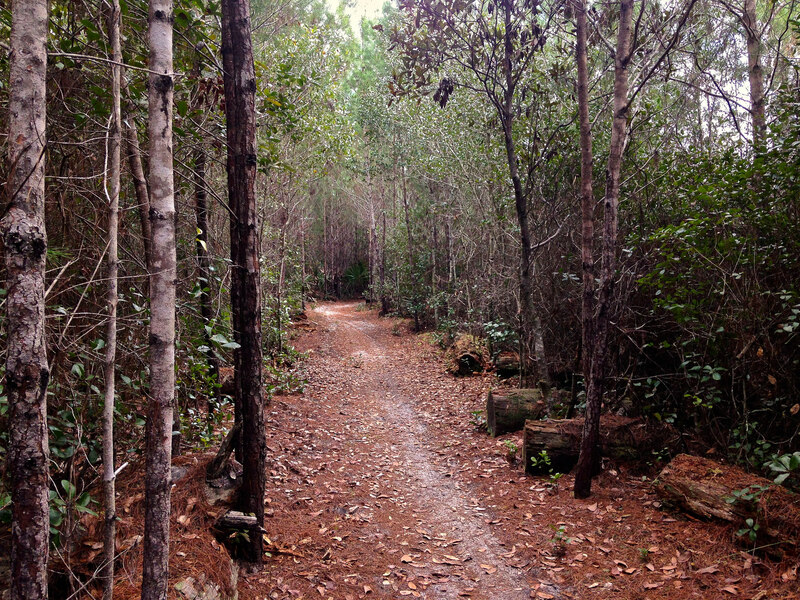 I(Daniel) recently rode a small part of this route through Ocala National Forest, and consider it one of the nicest, quietest, and most scenic trails I ever put my tires to. Definitely recommend. 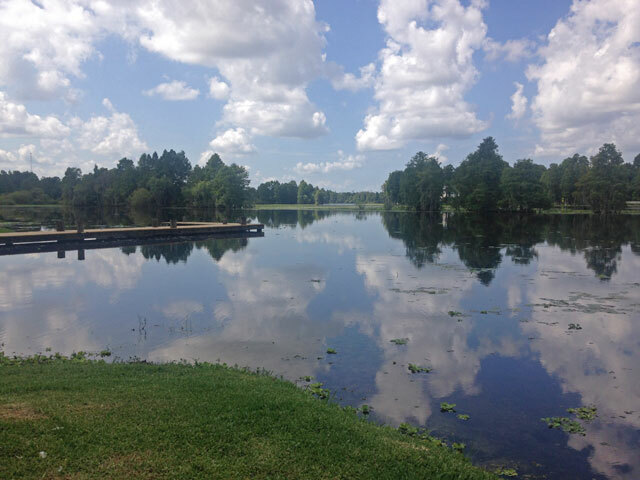 Here are some photos – not as nice as Logan’s, but enough to give you an idea. If you like this kind of riding, or if you never tried it but are thinking about it, this is the perfect place, trust me. Go do it before it gets to buggy and humid! 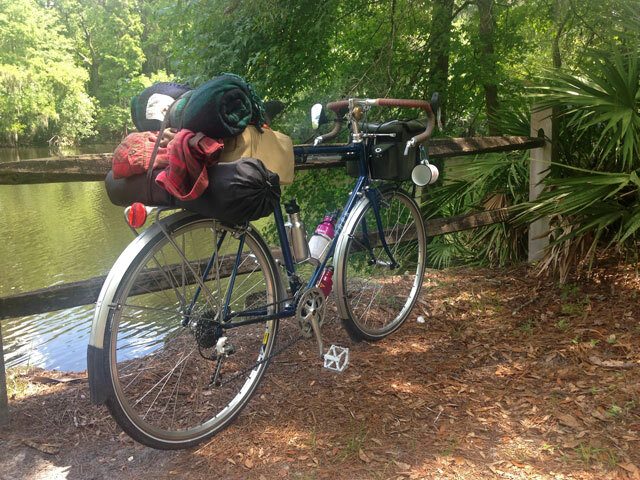 Did you know that Tampa Bay Times has a bicycle related column now? About time, we say! 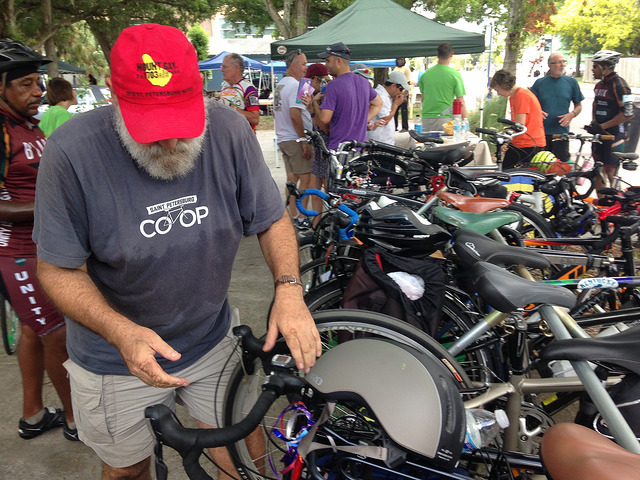 Kidding aside, the column kicked off in September of last year and is written by a St. Pete local Bob Griendling, a vice president of the St. Petersburg Bicycle Club and a member of the Mayor’s Bicycling and Pedestrian Advisory Committee. The column is well written and informative, and topics range from simple tips for buying a new bike to local bicycle advocacy and politics. 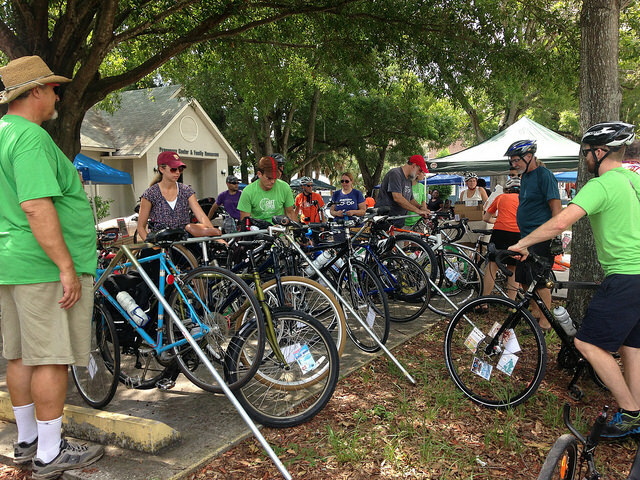 We think it’s a great addition to an already great newspaper, and an important contribution to creating bicycle aware and bicycle friendly Tampa Bay. If you haven’t already checked it out, go read this last one, and also check out the Times’ archive for the past columns. Kudos to Times and Mr. Griendling for getting it started and we’re looking forward to reading it! The weather’s been perfect lately so there is no excuse not to wipe the dust of your handlebars and ride that bike as much as you can before summer heat gets here. Need some inspiration? Watch this excellent old-school mountain bike video and then get out there and ride! 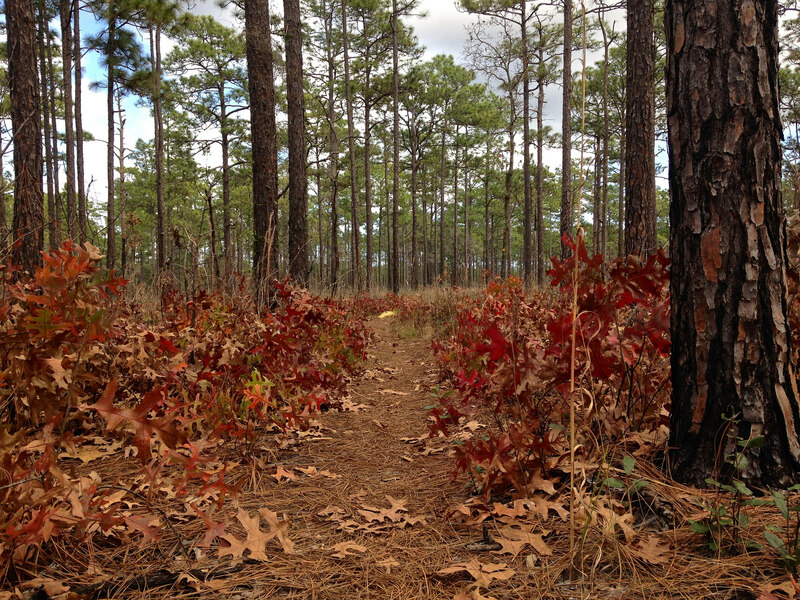 Put some dirt under those tires and cool fresh air in your lungs! Happy riding!